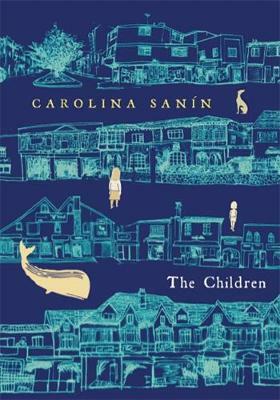 That her life changes with the arrival of the child is not immediately obvious, but then little is in Columbian author Carolina Sanin’s The Children (translated by Nick Caistor). She takes him up to her apartment and, of course, attempts to inform the appropriate authorities, openly to be told she must contact the National Family Welfare Institute which will not open until Monday (it’s Saturday night) as “it’s closed at the weekend for stock-taking”. (We see here an early use of italics to highlight the jarring jargon of bureaucracy). She takes Fidel to the Institute as instructed, but when she later enquires as to his welfare she can find no trace of him. Only months later does she relocate him and begin to invite him into her life. The novel speaks of a gap in understanding between adult and child. The novel’s own strangeness perhaps reflects the strangeness of childhood through adult eyes. Certainly, expect nothing to be resolved, either for Laura or the reader. The acceptance of that, though, is not unlike the acceptance of a child into your life. You are currently browsing the archives for the Carolina Sanin category.